No prior diving experience required, beginners are welcome! Often called “the Maldives of Thailand”, Ko Lipe is a tiny island in the South Andaman Sea renowned for its turquoise waters, white sandy beaches and magnificent coral reefs. 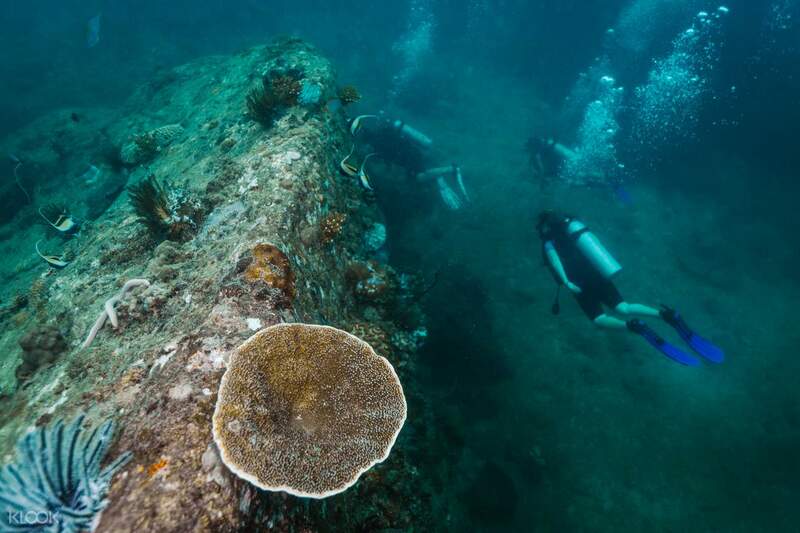 On this full-day scuba diving tour, you will get to see and appreciate all of it first-hand. 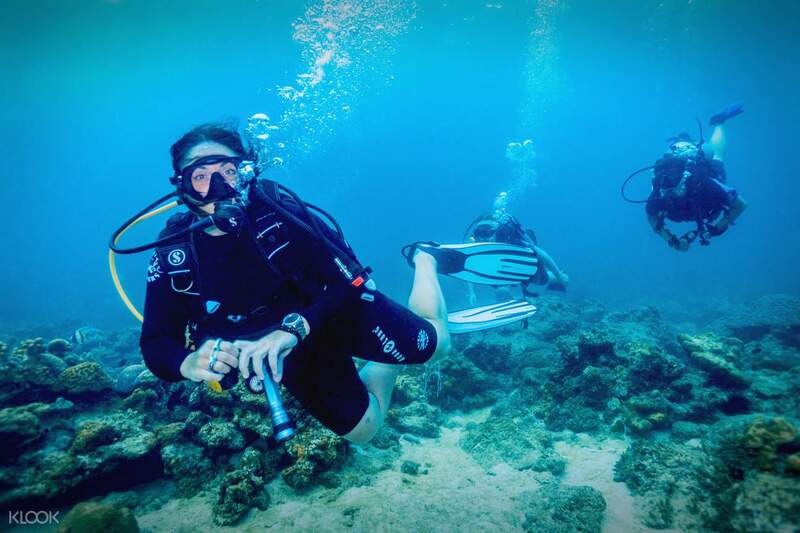 At 9am, meet up with fellow scuba divers at Adang Sea Divers and go through a pre-dive briefing with your scuba diving instructor. 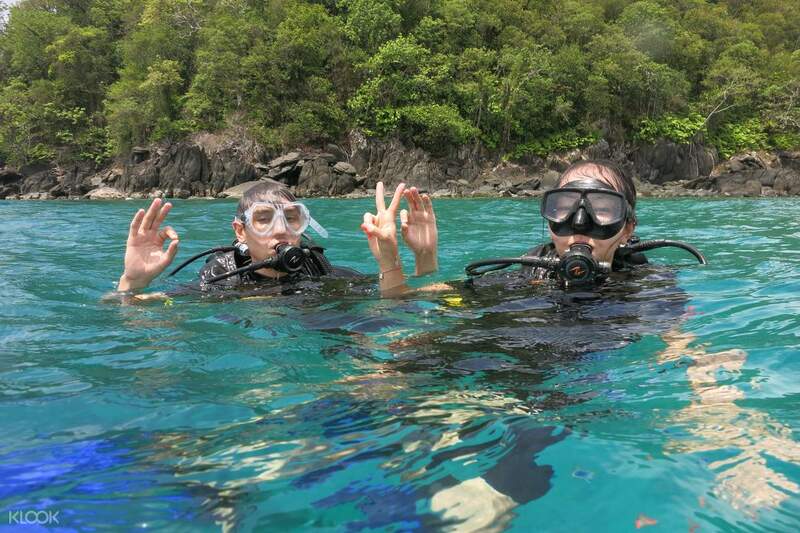 Depart for your first dive near Ko Lipe and explore the island’s reefs and marine life. Head back to dry land for lunch and, after a quick fuel-up, continue your underwater discovery with a second dive before returning to the island at 3pm. Tried calling the hotline to make booking for the pre-dive lesson. But the hotline couldn't be called through. So we end up walking to the center to make booking. However, when we reached no booking was required. The staff sat us down and let us watch the pre-dive video. After the video we were required to fill up forms and were told to report at 10.30am the next day. This is our first time trying out diving. It was a very fun and amazing experience. Our padi instructor was Max. Very patient and positive energy instructor! You will be in safe hands! They even have island paintings on the wall showing where are the islands and what fishes are there. Tried calling the hotline to make booking for the pre-dive lesson. But the hotline couldn't be called through. So we end up walking to the center to make booking. However, when we reached no booking was required. The staff sat us down and let us watch the pre-dive video. After the video we were required to fill up forms and were told to report at 10.30am the next day. This is our first time trying out diving. It was a very fun and amazing experience. Our padi instructor was Max. Very patient and positive energy instructor! You will be in safe hands! They even have island paintings on the wall showing where are the islands and what fishes are there. Perfect experience. Dive operator - Adang Sea Divers was proficient. Dive instructor was patient and customised the dive trip to a refresher course for me as I held a license but had not dive for a long time. Trust them to lead you safely into the underwater world. Perfect experience. Dive operator - Adang Sea Divers was proficient. Dive instructor was patient and customised the dive trip to a refresher course for me as I held a license but had not dive for a long time. Trust them to lead you safely into the underwater world. Great experience and a really good service provider for the tour. Thanks! Great experience and a really good service provider for the tour. Thanks!